This volume is offered as a tribute to George Brooke to mark his sixty-fifth birthday. It has been conceived as a coherent contribution to the question of textuality in the Dead Sea Scrolls explored from a wide range of perspectives. These include material aspects of the texts, performance, reception, classification, scribal culture, composition, reworking, form and genre, and the issue of the extent to which any of the texts relate (to) social realities in the Second Temple period. Almost every contribution engages with Brooke’s own remarkably wide-ranging, incisive, and innovative research on the Scrolls. The twenty-eight contributors are colleagues and students of the honouree and include leading scholars alongside promising new voices from across the field. Congratulations to Professor Brooke! Very well deserved. The Jewish Roots of Christological Monotheism: Papers from the St Andrews Conference on the Historical Origins of the Worship of Jesus (Library of Early Christology) Paperback – August 28, 2017 by Carey C. Newman (Editor), James R. Davila (Editor), Gladys S. Lewis (Editor). Baylor University Press, reprint 2017. 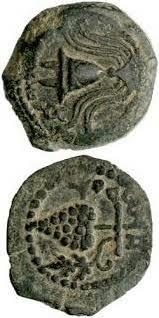 Second Temple Judaism exerted a profound and shaping influence upon early Christianity. The Jewish Roots of Christological Monotheism documents this influence by exploring the ways in which the Christian praxis of Christ-devotion in the first two centuries of the Common Era can be understood as a manifestation of Jewish monotheism. The volume approaches this phenomenon along four distinctive lines of inquiry: (1) reexamining (and problematizing) the theological force of monotheism during the Second Temple period; (2) retracing the historical steps of Christianity's adaptation, mutation, and/or redefinition of Jewish monotheism; (3) exploring and debating the influence of non-Jewish traditions on this process; and (4) mapping how Christianity's unique appropriation of Jewish monotheism helps explain the intriguing relationships among emerging Christian, Jewish, and gnostic communities. Eighteen chapters, each from an expert in the study of early Judaism and Christianity, comprise the volume. The chapters collectively demonstrate how the creation of new mythic narratives, the revelatory power of mystical experiences, and the sociology of community formation capitalized on Jewish mediator traditions to initiate the praxis of Christ-devotion. This volume was originally published by Brill in 1999. I am very pleased that it continues to be useful enough for Baylor to reissue it a paperback edition. I have mentioned Baylor's new Library of Early Christology reprint series here and here and I commented, "This new series reprints some excellent, classic works of scholarship." I'll leave it at that. BOOK REVIEW: The Menorah: From the Bible to Modern Israe (Jenna Weissman Joselit, Material Religion). You may need a paid subscrition to access this journal review. I'm not sure. Past posts on Steven Fine's book, The Menorah, are here (cf. here) and links. THE UNIVERSITY OF ST. ANDREWS: Lecturer in Old Testament/Hebrew Bible - AC2050ML School of Divinity. We wish to appoint a Lecturer (equivalent to a US ‘assistant professor’) within the School of Divinity. You will be a scholar with a growing international research reputation in Old Testament/Hebrew Bible and commitment to delivering high quality teaching within the broad field of Biblical Studies. The successful candidate will be expected to have a range of interests that strengthen or complement those in the School, to be active in research publication, and to be capable of teaching the subject to undergraduate and taught postgraduate students from a wide range of backgrounds. Candidates should hold a PhD in a relevant discipline. Excellent teaching skills and an interest in promoting knowledge exchange are essential. You should also have some familiarity with grant seeking processes in relation to research councils and other sources. Follow the link for further particulars. The closing date for applications is 6 November 2017. Dr. Madhavi Nevader, Dr. Bill Tooman, and yours truly are (if I may say so) great colleagues. We look forward to a fourth colleague joining us soon to complement our work and enhance our program on the Hebrew Bible and related matters. TEMPLE MOUNT WATCH: DISPROVING 'TEMPLE MOUNT DENIAL' ONE BUCKET AT A TIME (Daniel K. Eisenbud, Jerusalem Post). When Wakf bulldozers illegally ascended the Temple Mount in 1999 to surreptitiously remove thousands of tons of ancient soil to make way for a subterranean mosque, two archeologists found hope in recovering some of the Jewish heritage that crime destroyed. As countless invaluable artifacts dating from the First Temple period at Judaism’s holiest site were dumped in a garbage heap in the capital’s Kidron Valley, Dr. Gabriel Barkay and Zachi Dvira saw an opportunity. Five years later, under the auspices of Bar-Ilan University, the two archeologists procured a government license to have the ancient debris transferred to Emek Tzurim National Park on the western slope of Mount Scopus, where they established the headquarters of the Temple Mount Sifting Project. There follows a history of the project. Also, they still need funding! Background here and oh so many links. The debate continues. I assume it is also moving into the peer-review literature, although I have not checked. NEW YORK UNIVERSITY CENTER FOR ANCIENT STUDIES: THE ROSE-MARIE LEWENT CONFERENCE - THE DEAD SEA SCROLLS AT 70. November 16-17, 2017. Follow the link for the conference program. BIBLE HISTORY DAILY: Jonah and the Whale. Why the Book of Jonah Is Read on Yom Kippur (the late Nahum Sarna). H-JUDAIC: CFP: Panel for Young Genizah Researchers and those Interested in the Field. At the XIth Congress of the European Association for Jewish Studies Kraków, Poland, July 15-19, 2018. Even with the essential tools that have been established over the last few decades to facilitate Genizah studies, gaining access to this vast field with its very specialized material is still a challenge to young researchers and thus calls for special training. Our panel is therefore intended as a platform for advanced MA-students, PhD-candidates and Post-Docs, who are interested in the field of Genizah Studies and wish to venture further into it. Every participant will have the opportunity to present a paper on her/his topic of research. Senior scholars will present their own work and offer hands-on training, as well as provide feedback on the participants' projects. Follow the link for further particulars and instructions for submitting a paper proposal. The proposal deadline is 15 November 2017. There are endless past PaleoJudaica posts on the Cairo Geniza. Start here, here, and here, and just keep following those links. VANDALISM: Swastikas found spray-painted outside settlement archaeology site. Incident is the third such defacement in the past four years near ruins of ancient Jewish city of Susya (Jacog Magid, Times of Israel). Past posts involving Susya, which was caught up in a political controversy a couple of years ago, are here and links. For biblical background and other posts on Sukkot, see the links at last year's post here. More recent posts on Sukkot (including Samaritan Sukkot) are here, here, here, here, here, here, and here. 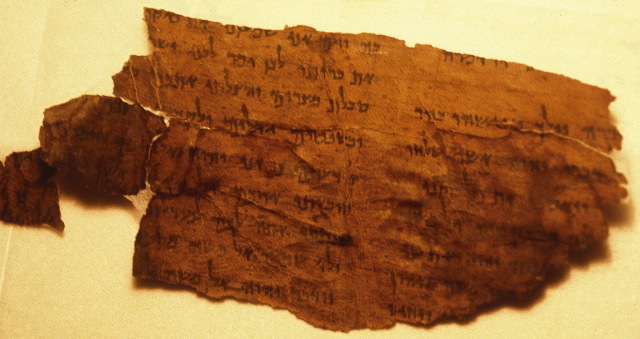 SUSPICION OF FORGERY: Dead Sea Scrolls scam: Dozens of recently sold fragments are fakes, experts warn. Since 2002, collectors have paid millions for portions of ancient text. 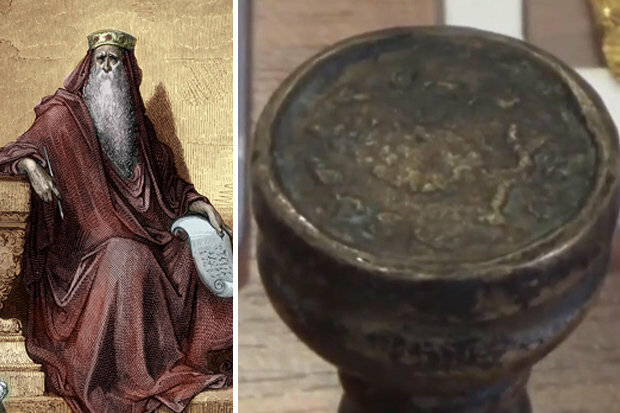 As DC's Museum of the Bible prepares to open with several such pieces, evidence of fraud emerges (Amanda Borschel-Dan, Times of Israel). 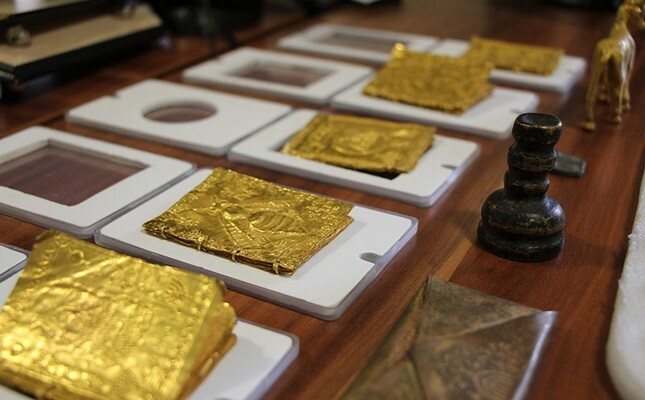 Since 2002, the world’s private antiquities markets have been saturated with certified millennia-old leather inscribed with biblical verses by what, on expert inspection, appears to be a modern hand. This has led some scholars to believe one or more of their own has gone rogue and created a proliferation of fakes that are being peddled to a growing number of Evangelical Christian collectors. The Museum of the Bible, set to open this November in Washington, DC, is foremost among those collectors who have been “duped,” to the tune of millions of dollars, scholars say. A series of recent articles in respected academic journals calls into question the authenticity of at least half a dozen in its trove of tiny scroll fragments. 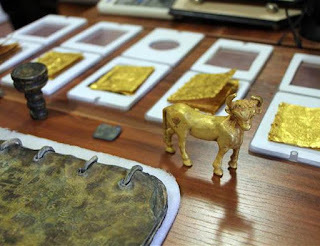 Among those raising awareness of the allegedly forged fragments is paleographer Dr. Kipp Davis, a research fellow at Trinity Western University and associate of the Dead Sea Scrolls Institute at TWU. “There is a growing emerging consensus among Dead Sea Scroll scholars that many of the fragments in the private collections are fakes,” Davis told The Times of Israel. This is a long and comprehensive account of the current state of the question concerning the supposed Dead Sea Scrolls fragments that came on the market in 2002 and later. Well worth a careful reading. For past PaleoJudaica posts on these dubious fragments, start here and follow the links. For past posts on the Museum of the Bible, Hobby Lobby, and the Green Collection, see here and many links. And for past posts on the Schøyen Collection, see here and links. SAD NEWS FROM H-JUDAIC: Passing of Prof. Kenneth Holum (Katherine Aron-Beller). PUSHBACK: Schumer to Tillerson: Don’t return trove of Jewish artifacts to Iraq. Senate Minority Leader tells State Department the 'treasured collection belongs to the Jewish community and should be made available to them' (Josefin Dolsten, JTA, rpt. Times of Israel). Schumer is among a group of US lawmakers who have joined Jewish groups in lobbying to keep the archive in a location accessible to Iraqi Jews and their descendants, who today live outside Iraq after being driven out amid intense persecution. Iraq and proponents of returning the archive say it can serve as an educational tool for Iraqis about the history of Jews there and that it is part of the country’s patrimony. “It’s disheartening that parchments of a Torah scroll and prayer books were discovered in such poor condition inside a flooded Baghdad Intelligence Center. After the United States preserved this ancient collection, it makes no sense to return the items to the Iraqi government, where they will no longer be accessible to the Jewish community,” Schumer said Tuesday in a statement released along with the letter. This is in response to a State Department announcement last month indicating that the archive would be returned to Iraq in 2018. Some responses are noted here and here. An just keep following the links all the way back to the recovery of the archive in 2003. THIS WEEK'S DAF YOMI COLUMN BY ADAM KIRSCH IN TABLET: Put to Death For Crimes Yet to Be Committed. ‘Daf Yomi’: The odd case of preemptive punishment highlights Talmudic rabbis’ generous interpretation of the Torah’s unenforceable laws. CONCERNING THE JEWISH NEW YEAR: Rosh Hashanah 2017: The History of Rosh Hashanah Which Wasn't Always the 'New Year.' Much of today's traditions originated with Babylonian worship, and you have to read this to believe how a calf's head morphed into gefilte fish. (Elon Gilad, Haaretz). There's lots of useful historical background here. UPDATE: I've deleted a sentence that contained incorrect information. Sorry for the error. PUNIC WATCH: Tophet at Carthage. An ancient burial ground believed to be used for ritual sacrifice (Atlas Obscura). Tophets are at the center of one of the most contentious archaeological debates surrounding the region of northern Africa that was once part of the ancient Carthaginian Empire. The enigmatic ancient cemeteries are believed to have been used for the ritual sacrifice of children and animals. As usual with Atlas Obscura, this article has some good photos. For past PaleoJudaica posts on the debate over child sacrifice at Carthage, see here and links. TALMUD WATCH: IN SEARCH OF THE TRUTH: A WIDE-RANGING PROFILE OF RABBI ADIN STEINSALTZ (NATAN ODENHEIMER, Jerusalem Post). ‘Rabbi Steinsaltz once told me that the most important question in life is ‘Then what?’ “You get married, then what? You do a good deed, then what? The outcome, what is left after we take action, is the paramount question we ask ourselves,” says Steinsaltz’s student Rabbi Pini Alush. Recently, Rabbi Adin Even-Yisrael Steinsaltz, one of the most important rabbinic figures today, turned 80. He established and led yeshivot, was the rabbi of the Tzemah Tzedek Synagogue in the Old City of Jerusalem, and authored several books. However, his most remarkable achievement is translating and commenting on the entire Talmud. For additional background on Rabbi Steinsaltz, his recent health difficulties, and his work, especially his Hebrew and English translations of the Talmud, start here and follow the many links. And this 2014 post on The Lubavitcher Rebbe's 20th yahrzeit is also of interest for this article. ARCHAEOLOGY: Lost First-Temple Jewish City Discovered Under IDF Training Base (JNi.Media). This sounds more like a village than a "city." But it's an important discovery nonetheless. It seems that the only report so far is from an Israeli newspaper, so I look forward to hearing more specifics more directly from the archaeologists. THE FORWARD: Ashkenazi Jews Are Not Khazars. Here’s The Proof (Alexander Beider). Since the late 19th century, the so-called “Khazarian theory” has promoted the idea that a bulk of Ashkenazic Jews living in Eastern Europe descended from medieval Khazars, a semi-nomadic Turkic people who founded a powerful polyethnic state in the Caucasus and north to the Caspian, Azov and Black seas. The theory received a recent boost with the 1976 publication of “The Thirteenth Tribe,” a book by Arthur Koestler. Most recently, the Khazarian hypothesis has been promoted by authors like the Tel Aviv University professor of history Shlomo Sand and Tel Aviv University professor of linguistics Paul Wexler, as well the geneticist Eran Elhaik. For past PaleoJudaica posts on the idea that Ashkenazi Jews came from the Khazars, see here and follow the links. The posts deal in particular with the genetic and linguistic evidence against the idea. THE BIBLICAL REVIEW BLOG: “From Adapa to Enoch” by Seth Sanders (William Brown). Seth Sanders. From Adapa to Enoch. Texts and Studies in Ancient Judaism 167. Tübingen, Germany: Mohr Siebeck, 2017, 280 pp.. In summary, Sanders sets out clear evidence for the relationship between Adapa and Enoch as the scribal heroes of their respective scribal communities; however, he is careful to consider how each scribal hero was unique to their culture. This idea of a scribal hero shared between Babylonian and Judean scribes was likely a result of shared Aramaic scribal culture. Furthermore, the notions of divine presence likely spread to Judean scribes via the “parchment period,” a period during which Aramaic was a primary, common means of knowledge. So, Judean scribes began to explore this issue as a result of the exile. This result in ideas which eventually culminated into a focus on specific measurements, a form of Judean, apocalyptic science. So, by the end of the 1st millennium, Judean scribes shared with Babylonian scribes the notion of a “semiotic ontology in which the universe was shaped by God in language-like ways” (235). For Judeans, this was expressed as narratives, while Babylonians expressed this via cuneiform collections. YONA SABAR: Hebrew Word of the Week: ktivah "writing, inscribing" כתיבה. There. I think we're caught up with these for now. BIBLICAL LANGUAGES: Scribal Errors and Decorative Cakes (Phillip Marshall). These involve decorative cakes whose inscriptions accidentally included instructions about the cake. They are very amusing. For a similar case in Phoenician on a rather more durable medium than cake, see here. THE BIBLE PLACES BLOG: Resources on the Temple and Temple Mount (Todd Bolen). Cross-file under Temple Mount Watch. BRYN MAYR CLASSICAL REVIEW: Cesare Cuttica, Gaby Mahlberg (ed. ), Patriarchal Moments: Reading Patriarchal Texts. Textual moments in the history of political thought. London; New York: Bloomsbury Academic, 2016. Pp. xii, 217. ISBN 9781472589156. $29.95. Reviewed by Georgina White, Central European University (whiteg@ceu.edu). This collection of essays represents a fresh offering in Bloomsbury Press’s “Textual Moments in the History of Political Thought” series, an exciting new attempt to bring together a number of essays by experts on key texts in the history of political thought. Most of the essays are on texts from the Reformation to the modern period, but there are some on antiquity. The first two are on, respectively, the Talmud and the Hebrew Bible. YONA SABAR: Hebrew Word of the Week: shiʿur "lesson" (Yiddish shíur) שׁיעור.